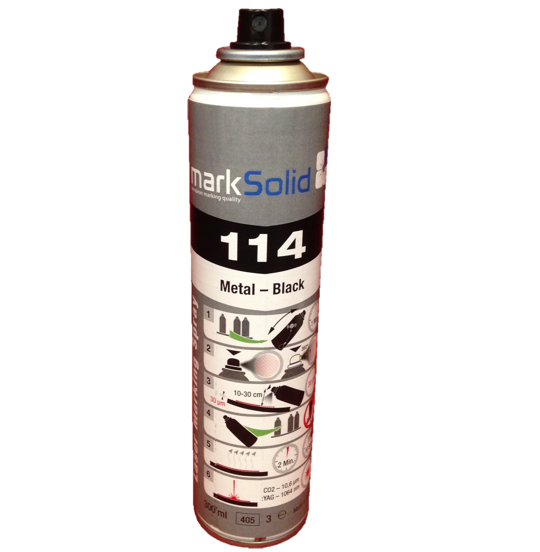 markSolid 114 Metal Marking Spray produces highly durable black marks on all metals. The aerosol comes in a 300ml spray can and is sold with 2 nozzles to help you get a more cost effective application of the product! Nozzle Two produces a spray to cover a larger surface area. This produce should be your first choice if you are looking for an all-round product for metal marking. It has a higher energy absorption to laser light (YAG and Co2). 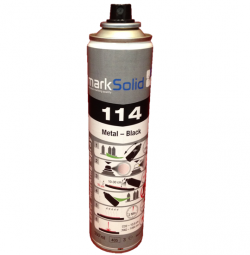 This makes it easier to mark on surfaces which need more heat for marking: good heat conductors like Aluminium or Brass, also Chrome plated, Nickel plated, surfaces or high alloyed steel. 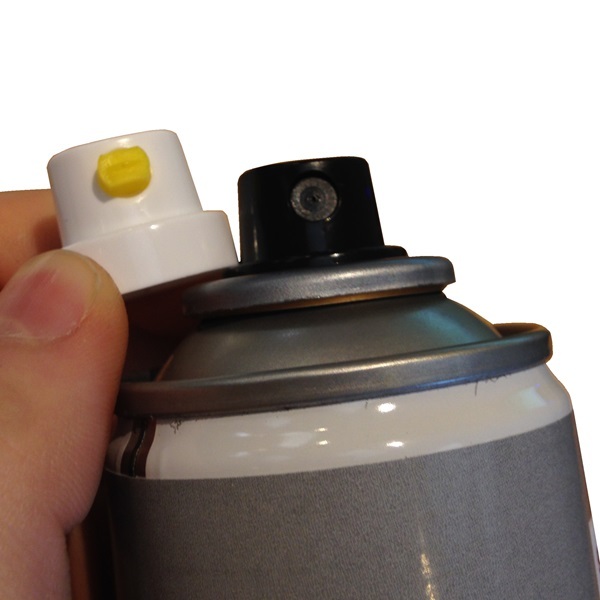 The cans (valve and nozzle) do not clog, which means there is a reduction in waste by the need to operate the can upside down for cleaning valve and nozzle after use. 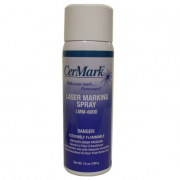 This product works with both CO2 and YAG Lasers. 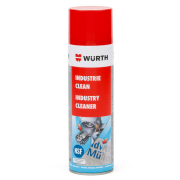 Sample Cans available upon request, call us for more details - 0845 9008 908. I just wanted to give you some feedback about the mark solid. 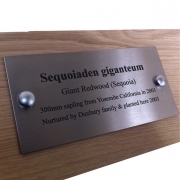 I am over the moon very easy to work with and a great finish, my customer is delighted, it was a large polished stainless steel panel supplied by the customer so no room for error. Once again thank you for the advice and great customer service and I look forward to buying more products from you.